Today's announcement by Warren Buffett that he will give the bulk of his fortune to Bill Gates' foundation will go down in history as a major turning point. The two richest Americans joined forces to condemn the "me-first" trend of the Bush Era and to embrace the idea of working together on behalf of a common good. It was a true Andrew Carnegie moment. He once wrote that, "The man who dies rich, dies disgraced." Andrew Carnegie did not die in disgrace. 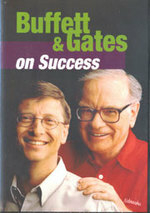 Buffett and Gates are leavng money to heirs. Buffett is giving some (some in this case representing hundreds of millions of dollars) to foundations run by his kids. Gates has promised to leave his own two children a good stake in life. They won't be Paris Hiltons. This is very much a political story. Gates and Buffett are single-handedly shaming the move to end the Paris Hilton Tax, which the right continues to call the Death Tax, and which those without a dog in the fight (most of us) call the Estate Tax. But this is not just about one issue. This is a major statement on behalf of collective action, on behalf of working together against the world's problems. In other words, it's a statement on behalf of open source. It may seem ironic that Bill Gates, the very embodiment of the Proprietary Era I have condemned repeatedly in this blog, now becomes the embodiment of its political opposite. But he has. Copright, under the 1998 DMCA, lasts to life plus 75 years. What Gates is saying now, in his life, is that a man's fortune should not outlive him. Many of those who argue with me, here and elsewhere, assert that, by arguing for copyright reform, I am arguing against copyright entirely. This is a lie. It's the old game of extrapolating a point to its extreme end, then arguing against the straw man you've just created. What I want is a copyright regime that people will willingly accept and willingly support. The idea that Gates himself routinely violates copyright illustrates the point. The idea that something created when Conrad Hilton had just built his first hotel, might still be protected when Paris Hilton is needing Botox is equally ridiculous. Balance is needed. That's what open source politics is about. It's not about the extremes of either capitalism or communism. It's about finding a balancing between giving and getting, between individual and collective action. In this it is much like Progressivism, the great political movement of a century ago, which sought to deal with the excesses of capitalism in order to save it.